Bordering on five different cities in Metro-North Boston, the Middlesex Fells Reservation is easy to access from wherever you are. Interstate 93 South to Exit 35. At stop sign turn left under highway. At next stop sign turn right. At first set of lights turn right onto Route 28. Turn right at Sheepfold entrance. Interstate 93 South to Exit 33 (Route 28). Take first right onto South Border Road. Bellevue Pond entrance is on the right in 0.1 mile and Long Pond entrance in 2 miles. Interstate 93 South to Exit 35. At stop sign turn left under highway. At next stop sign turn right. Go straight at first set of lights. The Botume House Visitor Center is half a mile past Stone Zoo on the right. Interstate 93 North to Exit 33 (Route 28). For both Bellevue Pond and Long Pond entrances, proceed halfway around rotary and take South Border Road. Bellevue Pond entrance is on the right in 0.1 mile and Long Pond entrance is in 2 miles. Orange Line to Wellington Station, MBTA bus #100 to Roosevelt Circle Rotary. Walk south to the rotary, turn right on South Border Road, Bellevue Pond entrance to the Reservation is 0.2 mile up South Border Road on the right. 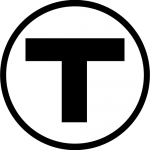 Orange Line to Oak Grove Station, exit on the Washington Street side and head north on Washington Street (away from Boston). Washington Street bears left at intersection with Pleasant Street. Go one more block up Washington Street and turn left on Goodyear Avenue. Goodyear Avenue is one short, steep block long and ends at the Gate 58 entrance to the Reservation at the east end of the blue blazed Cross Fells Trail. The Reservation is a 10-15 minute walk from the Oak Grove Station.